The National Council of Restoration under the Albanian Ministry of Culture through a decision on 25 May 2016 approved the proposal for delineation of the boundary of the potential extension of the transboundary World Heritage property and its buffer zone, in the framework of the project "Towards strengthened governance of the shared transboundary natural and cultural heritage of the Lake Ohrid region." 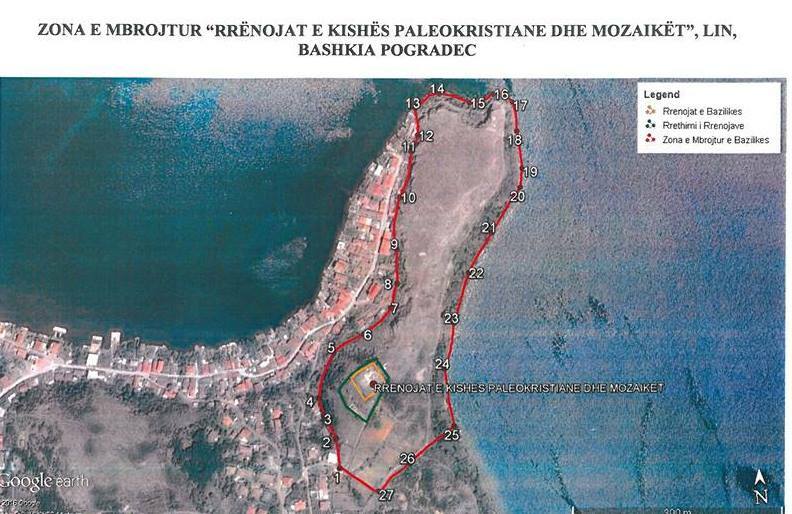 The National Council of Restoration decided to: Approve the proposal of the boundary of the potential transboundary World Heritage property in the framework of the Lake Ohrid project, based on the results of the joint field mission: ICOMOS, IUCN, ICM, NAPA, RAPA, Municipality of Pogradec and Institute of Archaeology; Approve the option of the boundary that includes: the waterline of the Lake Ohrid, cultural features of the landscape of the Lin Peninsula and Lin Village, areas critical to the scenic integrity of the Lake Ohrid (Drilon, coastal landscapes to the North of Lin), pile dwelling areas. This is a great news for the work to be done in preparation of a potential nomination file to extend the World Heritage property "Natural and Cultural Heritage of the Ohrid region" to the Albanian side. Struga is a town in south-western Former Yugoslav Republic of Macedonia. 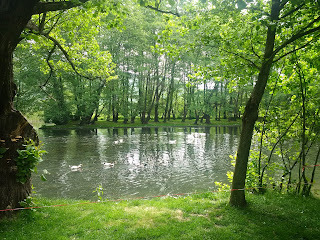 It lies on the shores of Lake Ohrid at the source of the River Drini (Drimi in Slavic). Struga is a quiet city. The houses are beautiful and decorated. 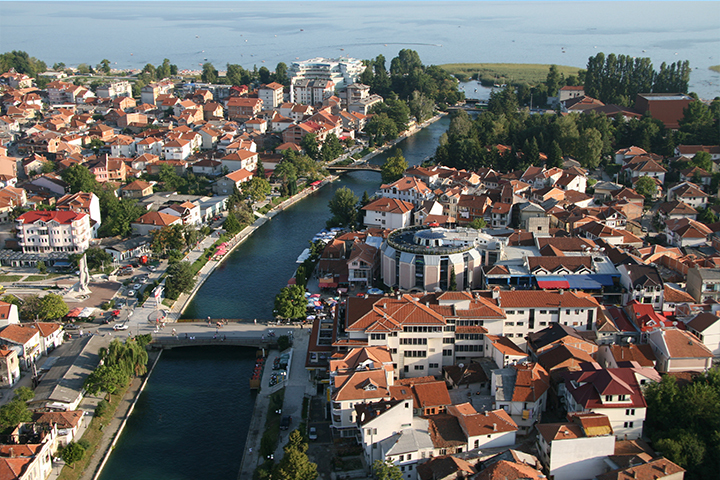 A well-known saying: "There is no other place like Struga" is still actual. Crn Drim flows gently through the town, as it does not want to disturb the visitors walking along its banks. There are other places that show the beauty and culture, like the old Struga bazaar, the century old churches and mosques. 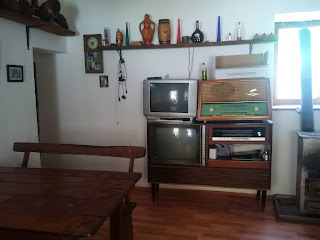 The Struga of today is quite modern. One can enjoy a pleasant walk through the town, along the river and by the lakeshore. One top destination is the Old Bazaar a lively market lined with traditional houses, cafes and shops. Nearby is the crossroads and the Church of St. George, built in 1835 on the foundations of an older sacred object and an excellent example of revival period architecture. The iconostasis is exceptional, the lower part made of stone, the upper part from wood, with a detailed woodcarving. Halveti Teke is a classic example of Ottoman architecture, protected by the Macedonian Cultural Memorial Institute, while other interesting examples can be seen along the streets of Braka Miladinovci and Niko Nestor near to the Bazaar. Close to the River Drin stands the Girl Going for Water, a statue that symbolises the tradition of young girls and brides carrying water from the fountain to their home. 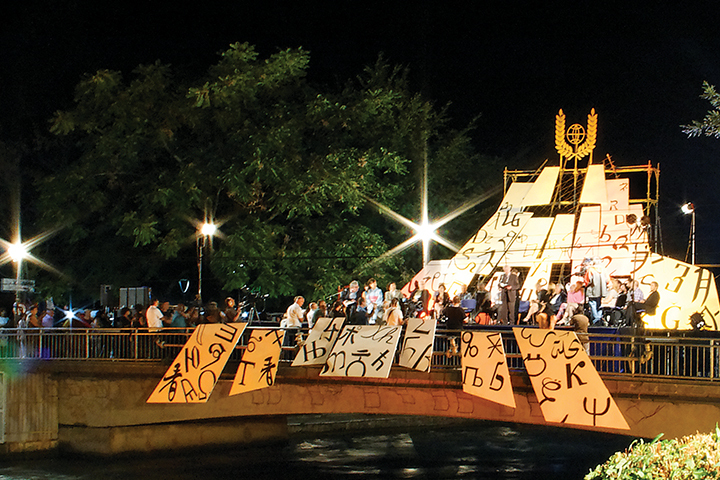 Struga Poetry Evenings is the most important event in the town. It has been held by the Bridge of Poets in the second half of August for more than 40 years. The event gathers poets, writers and artists from across the world. Two awards are presented: one for lifetime achievement, and one for young poets. Struga National History Museum houses more than 10,000 examples of flora and fauna from the Ohrid and Prespa region in the south-west FYR of Macedonia, and Albania. Meanwhile, The Struga Museum hosts 150 items of folk costumes from throughout the country, including several complete costumes, items of jewellery, and 80 pieces of furniture, tools and other household objects, as well as a large collection of photographs. The Church of St Dimitrija is a small church dedicated to St Dimitrija (Demetrius) located by one of the main streets slightly to the west of the town centre. You can enjoy a daytrip from Ohrid by boat, combining a visit to the villages along the west coast of Lake Ohrid where a major feature, aside from the lovely quiet beaches, are the cave churches. Struga is a flat town, spread around the Drin River, and is a great place to relax with a cup of coffee. It is small and easy to get around by foot. A 15-minute walk along the lake will take you to Kalishta Village and the cave monastery. For those seeking a little more adventure and outdoor activities, hiking or biking, there are no limits in Vodno Mountain forest. Before sunset you can enjoy three different types of beach, located by the source of the River Black Drin. 1. How is the project ‘Towards Strengthened Governance of the Shared Transboundary Natural and Cultural Heritage of the Lake Ohrid Region’ going? The cross-border project for integrated management of Lake Ohrid has now entered its final stage. While the lead ministry is the Ministry of Environment, the Ministry of Culture, through its General Directorate of Heritage and Culture Diversity, and other institutions under the ministry, such as the Institute of Cultural Monuments and Regional Directorate of Culture in Korca, have been fully committed in preparation of all the recommendations resulting from all the meetings held in the project framework. 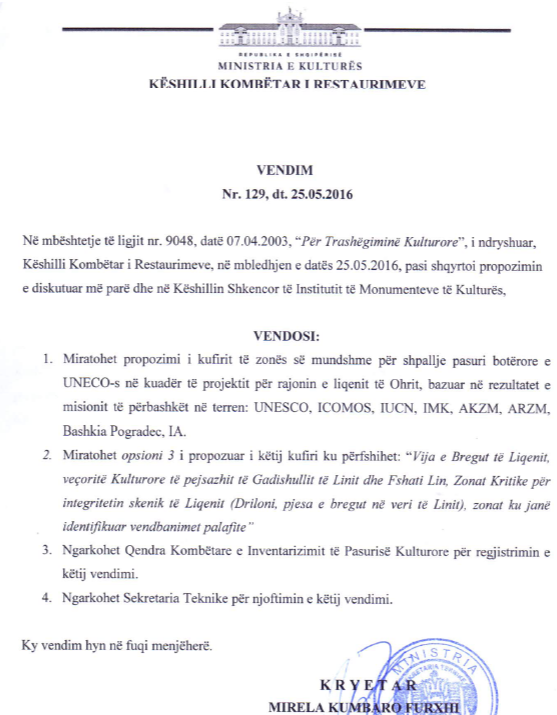 The aim is to finalise on time a nomination file for inscribing the Albanian part of Lake Ohrid in UNESCO. 2. What are the duties and responsibilities of the Ministry of Culture with regard to cultural heritage in this project? Following recommendations of ICOMOS, IUCN and ICCROM our experts are working to ensure the protection and integrity of cultural heritage values of the area for it to be included on the UNESCO World Heritage List. By a decision of the Minister of Culture, in March 2016, the Palaeo-Christian basilica and its mosaic in Lin Village have been entered for inscription on the list. Meanwhile, the Law on Cultural Heritage Monuments protects the area by banning any kind of construction work. In addition, a group of international experts from UNESCO advisory body ICOMOS, IUCN and national experts from the Albanian Institute of Cultural Monuments, the national and regional agencies of Protected Areas, the Albanian Institute of Archaeology and the Municipality of Pogradec held a field mission on 29 and 30 March 2016. Following the mission’s recommendations, the National Council for Restoration defined a buffer zone for protecting the cultural heritage in the area of Lin. The decision was made known to UNESCO World Heritage Centre and the Ministry of Environment. In cooperation with the lead ministry, the Ministry of Culture has taken the initiative to ratify the European Landscape Convention, which defines clearly the criteria for protection and promotion of landscapes in general and those that are natural and cultural in particular. We believe that this Convention is another instrument in the hands of the management of Lake Ohrid Heritage. 3. Is Albania ready to manage and protect such heritage in cooperation with its Macedonian counterparts? Albania has an experience of more than 20 years in managing outstanding universal values of some properties. 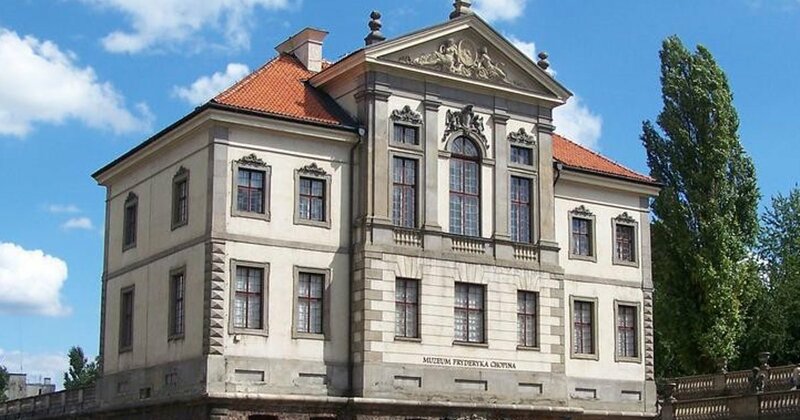 The Ministry of Culture in the last two years has shown maximum engagement and readiness to fulfil and complete all its responsibilities toward membership of the Convention of World Culture and Nature Heritage and follow ICOMOS recommendations. While there are improvements seen in achieving good results, a lot more remains to be done. This is our next challenge, together with our obligation to coordinate the work between all our Albanian institutions, locally and nationally, as well as our counterparts in FYR of Macedonia. Preserving and protecting cultural heritage values in our time, when the pressure from urban development is high, is a constant challenge for the governments on both sides of the lake, the Albania and Macedonian counterparts. Responsible institutions, not only those for culture heritage, are now treating Lake Ohrid region as a common space that not only has benefits, but also responsibilities and duties for its protection. Part of the submission file will be the drafting of a Lake Ohrid Integrated Management plan, which will be obligatory for both state parties and all respective institutions. I think that we have a common challenge on both sides of the lake and only by working together will we be able to manage it much better that has been done up to now. 4. When will the nomination file of the Albanian part of Lake Ohrid to UNESCO be ready? We believe that the nomination file will be finalised by January 2017 and officially handed over to UNESCO in March 2017. Even though we are working very closely with groups of experts from well-known international and national organisations in the field of culture heritage and environment, thanks also to the valuable support of EU and UNESCO, this project is a major initiative and commitment for both state parties to the UNESCO convention, and it does not end with the finalisation of the nomination file. 5. What is next, and what are the benefits for Albania from this process? With approval of Lake Ohrid as a World Heritage property, the Albanian map of UNESCO sites widens and the inventory increases with a new addition to the properties of Butrint, Berat, Gjirokastra and Iso-poliphony. As a result, Albania is no longer acknowledged for one or two cities, but also for regions that preserve outstanding universal values. This is even more important for our country as it aspires to join the EU. 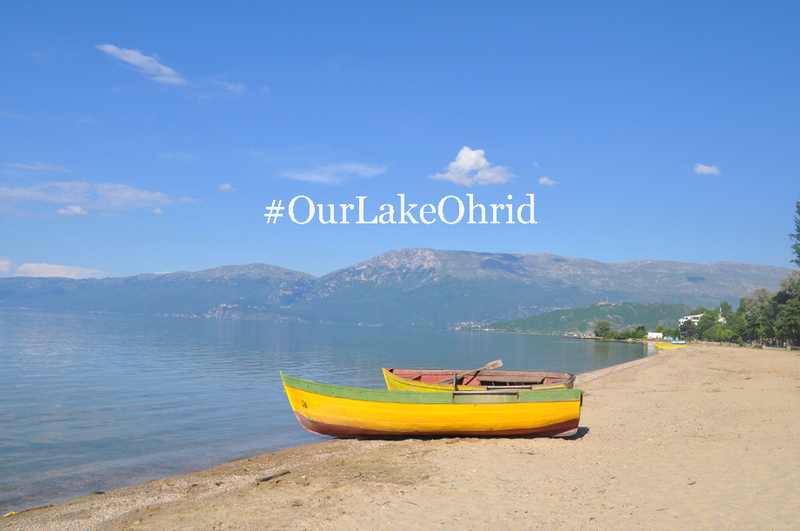 Meanwhile, Lake Ohrid itself will benefit from a more careful and sustainable management, and the attention of communities and respective local and central governments. This would bring better investments to the region. And last but not least, Lake Ohrid will be branded as a UNESCO site, significantly increasing the interest of local and international culture and nature visitors to explore and enjoy the extraordinary natural, aesthetic, cultural and spiritual values that Lake Ohrid and the communities living around it have to offer. This will transform the centuries-old property into an engine of development and revenue generation, thus enabling a better life for LOR communities. Si po ecën projekti "Drejt një qeverisjeje të përbashkët të trashëgimisë natyrore dhe kulturore ndërkufitare të rajonit të Liqenit të Ohrit". Projekti ndërkufitar për bashkërendimin e menaxhimit të Liqenit të Ohrit, tashmë ka hyrë në fazën finale të tij. Megjithëse institucioni lider për palën shqiptare në këtë projekt është Ministria e Mjedisit, Ministria e Kulturës përmes Drejtorisë së Përgjithshme të Trashëgimisë dhe Diversitetit Kulturor dhe institucioneve të saj të varësisë si Instituti i Monumenteve të Kulturës dhe Drejtorisë Rajonale të Kulturës Kombëtare Korçë ka qenë dhe mbetet plotësisht e angazhuar dhe e përfshirë në përgatitjen dhe ndjekjen me rigorozitet të rekomandimeve të dala nga takimet e organizuara në këtë kuadër, për të plotësuar në kohë dosjen për zgjerimin e Trashëgimisë botërore të rajonit të Liqenit të Ohrit me pjesën shqiptare të Liqenit të Ohrit. Në zbatim të rekomandimeve të ekspertëve të ICOMOS, IUCN dhe ICCROM, ekspertët tanë po punojnë për të siguruar mbrojtjen dhe integritetin e Vlerave të trashëgimsisë kulturore të zonës së mundshme të rajonit të Liqenit të Ohrit që do të përfshjihet në Listën e trashëgimisë botërore të UNESKO-s. Me një vendim të Ministres së Kulturës në Mars 2016 është shpallur zona e mbrojtur e monumentit të kulturës kategoria I-rë "Rrënojat kishës paleokristiane dhe mozaikët" në fshatin Lin, Pogradec. Në zbatim të Ligjit për trashëgiminë kulturore, në zonën e mbrojtur ndalohet çdo ndërhyrje me karakter ndërtimor. 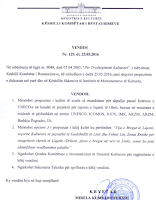 Po kështu, në vijim të misionit në terren (field mission) të datave 29 - 30 mars 2016 nga grupi ndërinstitucional me përfaqësues të ICOMOS, IUCN, IMK, AKZM, ARZM, Instituti Arkeologjik dhe Bashkia Pogradec, Këshilli Kombëtar i Restaurimeve ka miratuar me 25.05.2016: Propozimin e kufirit të zonës së mundshme për shpallje pasuri botërore e UNESCO-s, vendim i cili i është përcjellë Qendrës së Trashëgimisë të Botërore të UNESCO-s dhe Ministrisë së Mjedisit, institucioni shqiptar "leader" në projekt. Gjithashtu, në bashkëpunim me Ministrinë e Mjedisit, Ministria e Kulturës ka ndërmarrë nismën për ratifikimin e Konventës Europiane të Peisazhit e cila përcakton qartë kërkesat dhe kriteret për ruajtjen dhe promovimin e peisazheve në përgjithësi dhe atyre kulturore dhe natyrore në veçanti. Besoj se kjo Konventë do të jetë një tjetër "instrument" në duart e menaxherëve të kësaj pasurie botërore. A është gati Shqipëria për të menaxhuar dhe ruajtur një trashëgimi të tillë në bashkëpunim me palën maqedonase? Shqipëria ka një eksperiencë më tepër se 20 vjeçare në menaxhimin e vlerave të jashtëzakonshme universale (outstanding universal value - OUV). Ministria e Kulturës në këto dy vite ka dëshmuar angazhimin maksimal të saj për përmbushjen dhe ndjekjen me rigorozitet të detyrimeve të anëtarësimit në Konventën e Trashëgiminë Botërore Natyrore dhe Kulturore dhe rekomandimeve të ICOMOS. Ndërsa ka përmirësime të punës dhe rezultateve, ka ende shumë për të bërë. 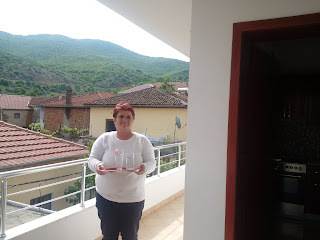 Kjo mbetet sfida jonë ndërkohë që kësaj sfide i shtohet edhe detyrimi për t'u bashkërenduar institucionalisht jo vetëm së brendshmi, me institucionet e speializuara përgjegjëse qendrore dhe vendore, por edhe me simotrat në vendin fqinj Maqedoni. Ashtu si dhe për parnerët tanë maqedonas, sfida e ruajtjes dhe mbrojtjes së vlerave të trashëgimisë kulturore në një kontekst bashkëkohor vazhdimisht në presionin e zhvillimeve urbane, ka qenë dhe mbetet një angazhim konstant. Institucionet përgjegjëse (jo vetëm ata të trashëgimisë kulturore) të të dy vendeve kanë filluar tashmë ta trajtojnë rajonin e liqenit të Ohrit si një hapësirë të përbashkët që nuk ka vetëm vlera e përfitime, por dhe përgjegjësi e detyrime. Mendojmë dhe besojmë se dosja ndërkufitare e kandidimit do të finalizohet brenda muajit janar 2017 për t'u dorëzuar zyrtarisht në UNESCO brenda muajit mars 2017. 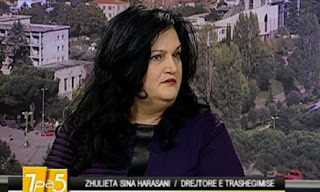 Ndonëse po punohet me grupe ekspertësh të institucioneve më në zë kombëtare dhe ndërkombëtare në fushën e mjedisit dhe të trashëgimisë kulturore falë mbështetjes së pakursyer të EU dhe UNESCO, kjo është një sipërmarrje dhe angazhim madhor për të dy shtetet palë në këtë Konventë të Trashëgimisë Botërore të UNESCO-s, që nuk përfundon me finalizimin e dosjes së kandidimit. What comes to one’s mind when Lake Ohrid is mention? Koran fish, lakeside, boats, swimming, nature? Maybe all of that! A trial questionnaire was implemented in the Albanian part of Lake Ohrid Region (LOR) in the framework of the project, in order to gain an understanding of people’s views on the region. The questionnaire, designed by ICCROM, an advisory body to UNESCO, gathered a preliminary set of data through interviewing people living and working in, or visiting, the area. 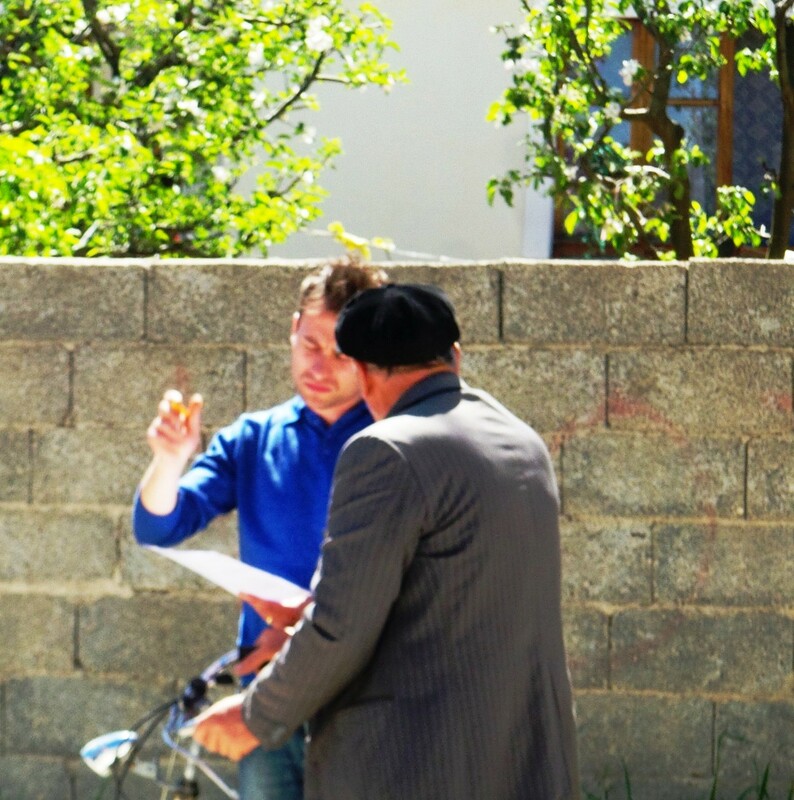 It was implemented by an Albanian journalist, Mr Genci Angjellari, contracted by IUCN, for an intense five-day campaign. Some 116 people—78 locals and 38 visitors—were interviewed in various locations along the Albanian side of Lake Ohrid including the city of Pogradec and the villages of Lin, Tushemisht, Hudenisht, Verdove, Starove and Drilon. The questionnaire began by asking questions on the values and attributes of LOR today, gaining an understanding of the public’s current relationship and connections with their heritage, and, indirectly, the level of satisfaction with the current situation. Later sections, on tourism and visitor experience, aimed to gain insight into the impact of tourism on the intangible values and traditional lifestyles in LOR. Initial results revealed a local population that has travelled extensively in the lake area and enjoyed many of its heritage places and experiences. Some ten percent of local residents benefit in one way or another from business and employment opportunities connected with tourism. Visitors to LOR seem to be largely domestic and, together with local residents, they identified a range of positive experiences related to the cultural and natural landscape. Future services for visitors would need to be developed in a way that provides both traditional hospitality, both in hotels and through the promotion of more locally based initiatives, such as home stays. The data gathered were processed by the ICCROM team and preliminary findings were shared at the May Promoting Heritage workshop, which equipped participants with genuine knowledge of the communities living in or visiting the area and their views about LOR. The results of this modest campaign demonstrate the importance of more substantial public consultation in the future and for extension to the Macedonian side of the lake, to inform decision making for managing LOR’s heritage and promoting it as a tourism destination.